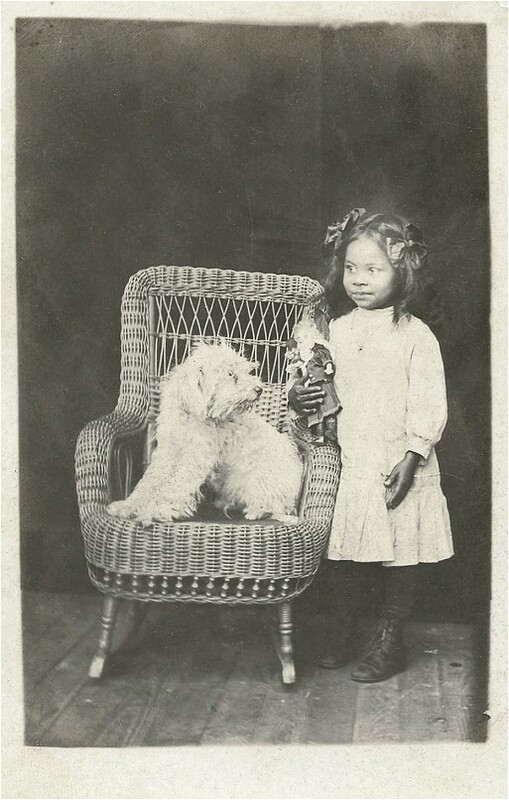 Wow....this is a very unique picture of an African-American child with a dog and dolly. Great find! !